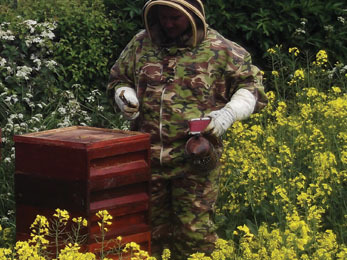 Dinah Sweet is the Chair of the Cardiff, Vale and Valleys Beekeepers and has 37 years experience of bee-keeping and is a seasonal bee inspector. She gave us an extremely interesting talk on recognising different bee species, getting started in apiculture, good husbandry, honey collecting and other aspects of the hobby. The average colony comprises a queen, 60,000 workers (females) and 2,000 drones (males) during the summer months. The drones develop from unfertilised eggs; their principle function is to mate with the queen, an act that occurs in mid air and after which the male dies. The workers, as the name implies, do all the work! They build, clean, defend, and repair the hive and feed the larva, the queen, and the drones; they gather nectar, pollen, water, and propolis (a waxy resinous mixture that the workers collect from tree buds and other botanical sources to be used as a sealant for unwanted open gaps in the hive) and they also ventilate, cool and heat the hive. 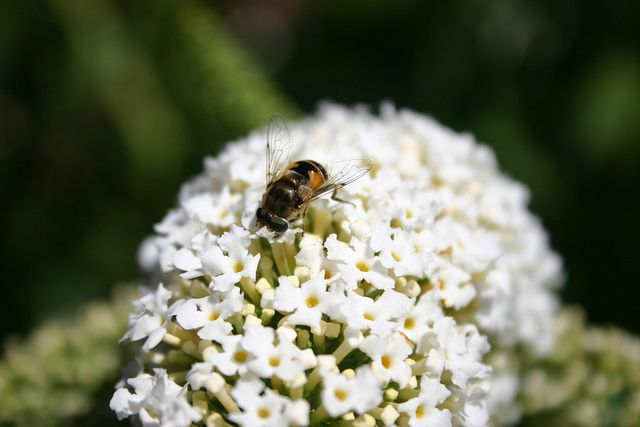 To attract bees into your garden, Dinah advised planting such things as buddleia, cotoneaster, sunflowers, blackthorns, lavender, sunflowers and open daisy-like flowers (not ‘doubles’). 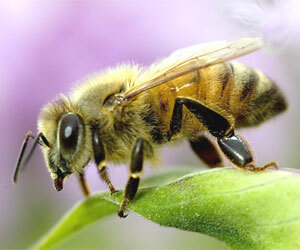 There are also many lists of bee-friendly plants to be found on the internet. At the end of the talk, we had tasters of lovely locally made honey including that made from balsam; a deliciously crunchy, sweet treat on toast! This entry was posted in Event report and tagged Apiary, Apiculture, Apis spp, Bee-friendly flowers, Bee-keeping, Cardiff Beekeepers, Friends of Bute Park, Honey bees. Bookmark the permalink.